Our increased reliance on cloud-based services is forcing some in the datacenter industry to rethink their strategy. As you may know, it takes an incredible amount of energy to keep massive datacenters cool – so much so that companies like Facebook,Google and now Microsoft are experimenting with unconventional approaches to the common problem of heat. Over the past year, Microsoft has been working on a research project known as Project Natick that involves operating a datacenter under water. 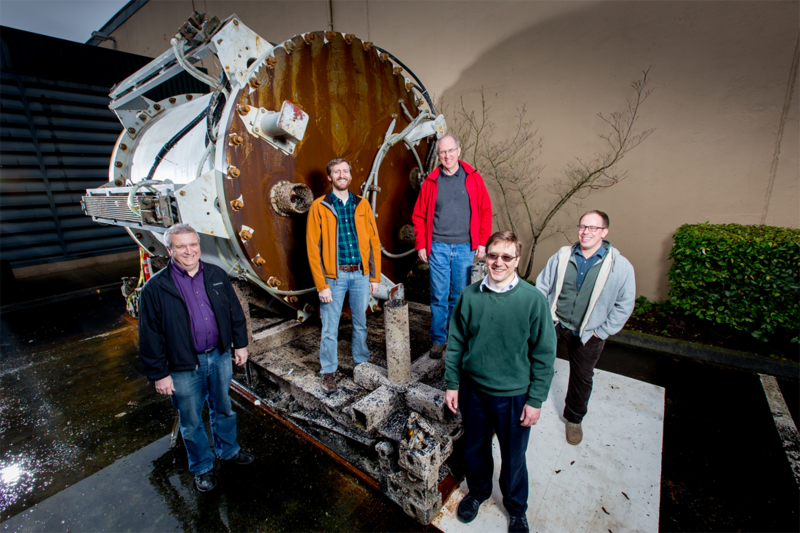 In the case of the initial prototype, christened the Leona Philpot (named after a character from the Halo universe), Microsoft deployed it on the seafloor roughly one kilometer off the pacific coast. The benefits of an underwater datacenter are aplenty. Aside from the obvious of using the cool ocean water to keep server temperatures under control, Microsoft says its underwater datacenters could be deployed within 90 days versus the two years it takes to build a datacenter on land. What’s more, because much of the world’s population lives in urban areas near large bodies of water, latency could be delayed greatly compared to land-based datacenters that are typically built far away from populated areas. As for the impact on the environment, Microsoft said they observed no heating of the marine environment beyond a few inches from the vessel. Microsoft deployed Leona Philpot for a total of 105 days and said it was more successful than expected. One of the obvious concerns is a hardware failure as you can’t exactly send a technician out to the bottom of the ocean at midnight for a repair job. Fortunately, nothing went wrong during the trial. And with the slowing of Moore’s Law, servers will be replaced less often – another plus for the project. Microsoft researchers are already designing a follow-up experiment that’ll be three times as large as Leona Philpot which measured eight feet in diameter.